Check out these fun alternatives to the traditional tasks of flower girls and ring bearers. Having little ones participate in your wedding is a heartwarming tradition that adds some levity to the nuptials. 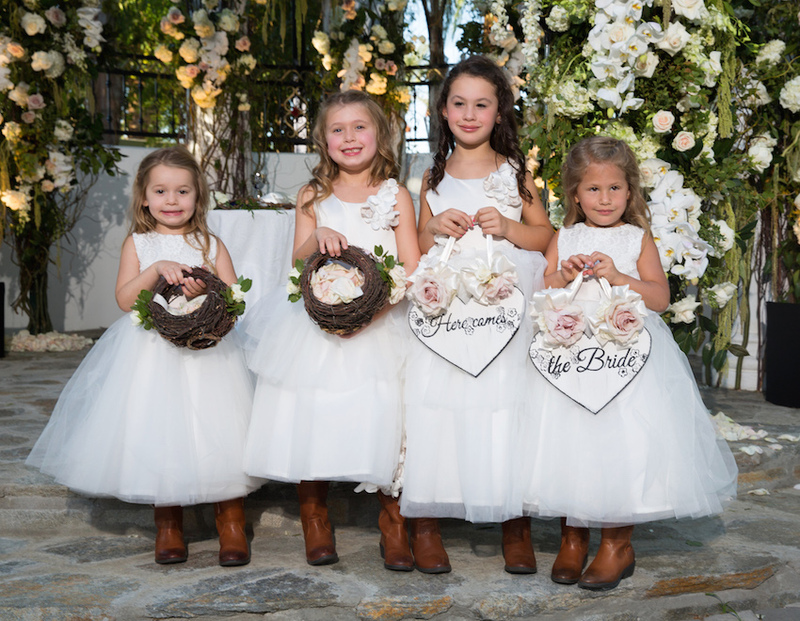 Traditionally, a flower girl will toss petals from a basket as she strolls down the aisle, while a ring bearer will carry the rings on a satin pillow. However, not all venues allow petals to be thrown during a ceremony. Or perhaps you have an elaborate aisle made with petals that you don’t want ruined. Depending on the floor of the venue, discarded blooms can become slippery, and no bride dreams of her wedding airing on America’s Funniest Home Videos. Not to mention some brides simply don’t like the aesthetic of tossing petals! Understandably, some couples are hesitant to entrust their precious wedding bands with a young boy, but may find using false rings feels too frivolous. Luckily, we’ve curated plenty of charming alternatives for your youngest attendants. - A popular choice in recent years is to have a flower girl or ring bearer carry a sign announcing the arrival of the bride. - Instead of a basket of flower petals, a flower girl can stroll down the aisle with a floral purse or pomander. - A celebration with multiple flower girls can have them carry a garland of blossoms between them. Alternately, the ring bearer could hold the garland with the flower girl. - If your littlest attendants aren’t outside the toddler stage yet, having them ride in a wagon is an adorable way to bring them down the aisle. If one of the children is a little older, they can even be the one to pull the wagon. - In lieu of flowers, your niece and nephew can ring a bell or blow bubbles as they make their way to the altar. - For a school-age flower girl, a darling idea is to have her help carry the bride’s train during the ceremony. - If you hope to incorporate your pet dog into the wedding, the ring bearer can be the one to walk your pup down the aisle. For more inspiration for your little attendants, check out our Flower Girl & Ring Bearer gallery! Find additional ideas for involving children in your wedding here.